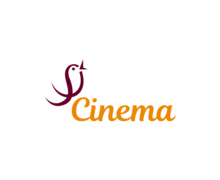 How To Create a Theater Logo? There is no limit to human creativity, so theater studios are created constantly, and the flow of ideas for new creative solutions is inexhaustible. Theatres are different: large and small, studios at schools and in various creative institutions. When printing booklets with the program it is necessary to specify the corporate style of the institution, and the logo is its main part. Often, logos contain elements of scenes such as a curtain. It can also be a beam from a spotlight or several at once. Two emotions: sadness and joy can be expressed by means of masks. If the theater has a narrow theme in its logo, it should convey an idea that will become the highlight of its design. The theatrical logo is usually printed in one or two colors. Experimented with shadows with contrasting colors. The emblem of a theater should be as creative and artistic as the creative work of the directors, so it is important not just to pick up the standard icons, and to introduce their style in them. 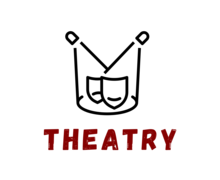 The logo of the Ottawa Little Theatre is drawn with sloppy brush strokes in black. It shows four actors on the stage. The American Drama Group in Europe has the first three letters of its name and an actor in its emblem. The Bolshoi Theatre, like many other large theatres, has its own building in its logo – it is usually luxurious and recognizable, so it is used. Also, the image of people whose names are named theatres are placed on the logo. 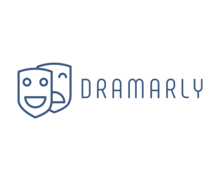 How do I create a theater logo for my brand?